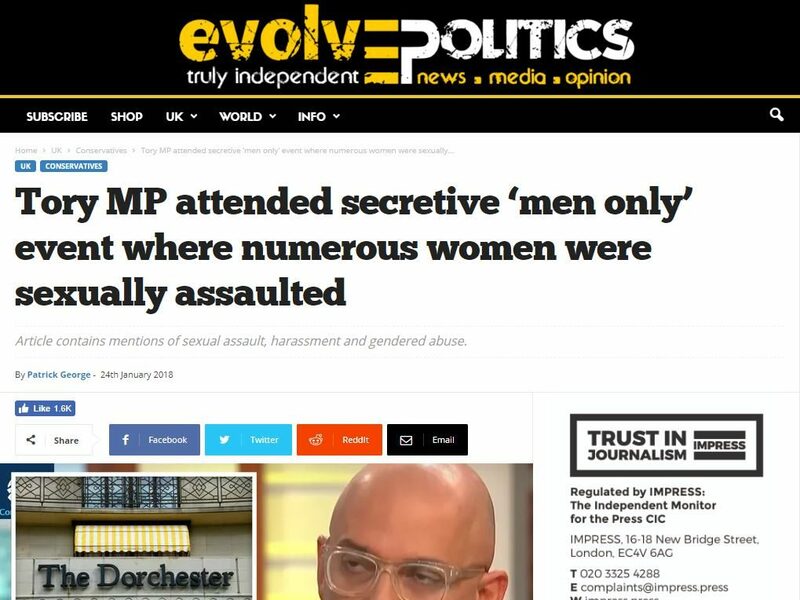 Evolve Politics has been ordered to pay £900 in damages over an article wrongly claiming a Sky News broadcaster attended the controversial Presidents Club dinner. The event, which took place on 18 January this year, was exposed by the Financial Times as a hotbed of alleged sexual misconduct after two of its reporters went undercover to attend it. Jonny Gould complained to Impress that he had in fact not attended the fundraising dinner, contrary to a report by left-wing news website Evolve published on 24 January. Evolve’s coverage followed the day after the Financial Times published an exposé of the event containing allegations of lewd behaviour and sexual harassment by some guests. 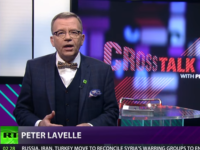 The major scoop prompted further headlines within the UK press, including the Sun newspaper. The paper also reported: “Over the course of six hours, many of the hostesses were subjected to groping, lewd comments and repeated requests to join diners in bedrooms elsewhere in the Dorchester. The FT later added a footnote to its article, explaining that it had been “revised to make clear that the Jonny Gould referred to is not the radio and TV presenter who has worked at (among others) Smooth Radio, talkRADIO, and Sky News”. While Evolve acknowledged naming Gould in its coverage, referring to him as a “Sky News pundit” and including a link to the FT article, it contended that it had not defamed him. Gould told the arbitration scheme that because at the time of the article he was working as a newspaper reviewer for Sky News “this description served very clearly to identify him as being the person referred to in both articles”. Evolve claimed Gould had no evidence to demonstrate serious harm to his reputation, as required under Section 1 of the Defamation Act 2013. The matter was sent to the Chartered Institute of Arbitrators and resolved within three months of the arbitration request, made in February, according to Impress. Arbitrator Ian Ridd used the precedent set by Lachaux v Independent Print Ltd  2 WLR 387 in rejecting Evolve’s claim. He said it was “not necessary in order to satisfy Section 1 [of the Defamation Act 2013] for the claimant in fact to call evidence of such serious harm”. But, he added: “It seems to me plain that far more damage was done to Mr Gould by the publication of the libels in the FT and in the Sun than was done by the much lesser publication in Evolve’s later article. Arbitrators did not award aggravated damages to Gould. Evolve must publish a full apology on its website and a retraction and full apology on Twitter within 14 days of this ruling. It must pay the damages awarded against it within 28 days. Evolve is only the second Impress member to have been ordered to pay damages under the alternative press regulator’s compulsory arbitration scheme. The first ruling was against Byline Media in April last year. Read the full arbitration decision against Evolve Politics.